Truth be told not many of us think about buying a new umbrella until ominous grey clouds appear in the sky or the weather presenter says ‘you’ll need a brolly today’. While autumn is one of the most beautiful times of the year for its colourful crisp leaves and hard shiny conkers, the wind and rain that comes with the new season shows no mercy. When it comes to buying an umbrella, remember that cheap and cheerful isn’t always the best option, as buying an umbrella for £1 will just break and you’ll end up fighting with it when the wind continuously blows it inside out. So why not invest in a decent one that will save you some money in the long run? 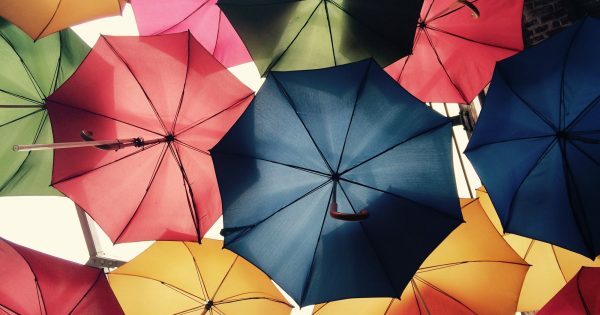 Take a look at our pick of the best brollies that we have tried and tested here in the office. 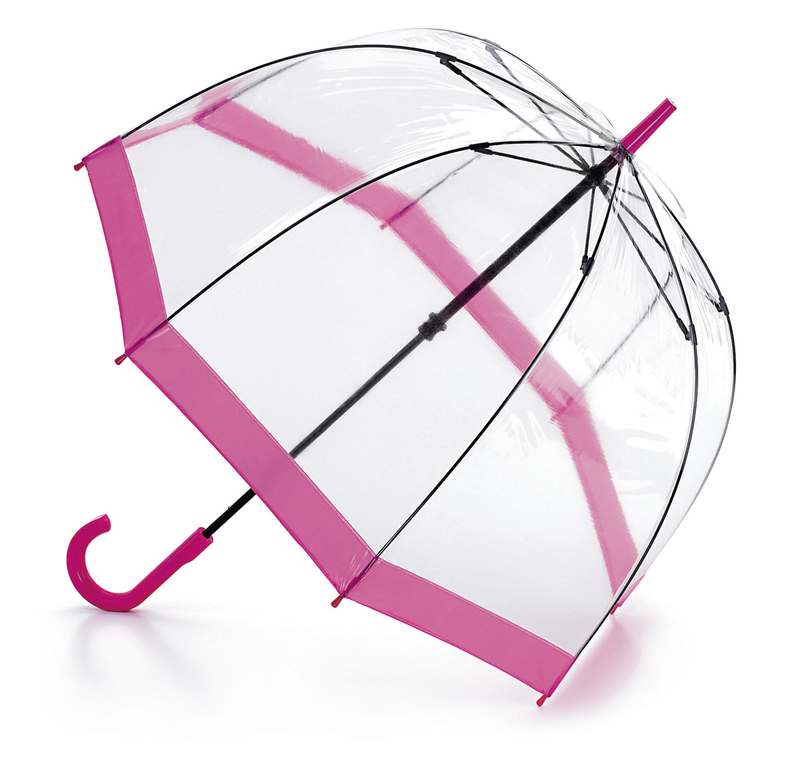 With a pretty in pink trim, this umbrella will brighten up any dull and dreary day. In the iconic dome shape, this umbrella will provide complete coverage of your head and shoulders. With a transparent high grade PVC cover and an extra strong fibreglass frame, this umbrella provides ease of vision when walking and withstands strong gusts of wind. With the weather being so unpredictable here in the UK, an umbrella is a must. 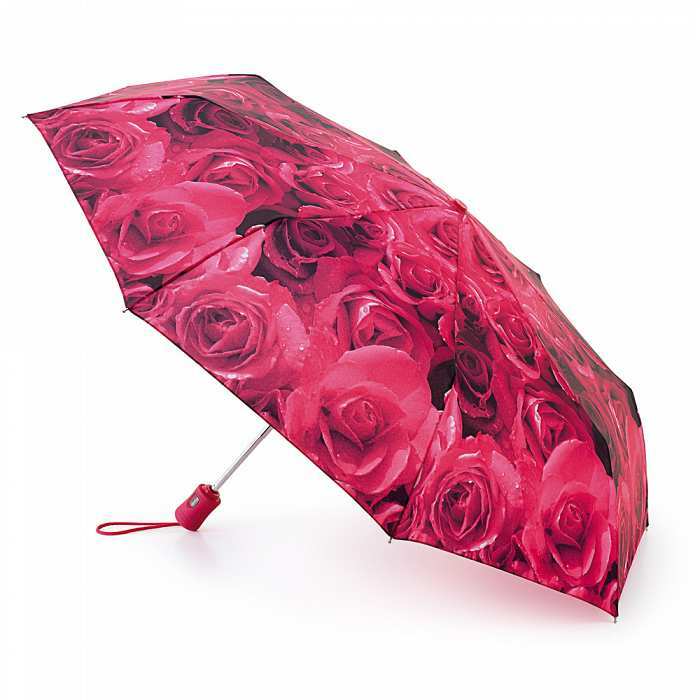 This rose red umbrella is automatic, so when you press the button on the handle it pops open but be careful as this mechanism is rather strong. 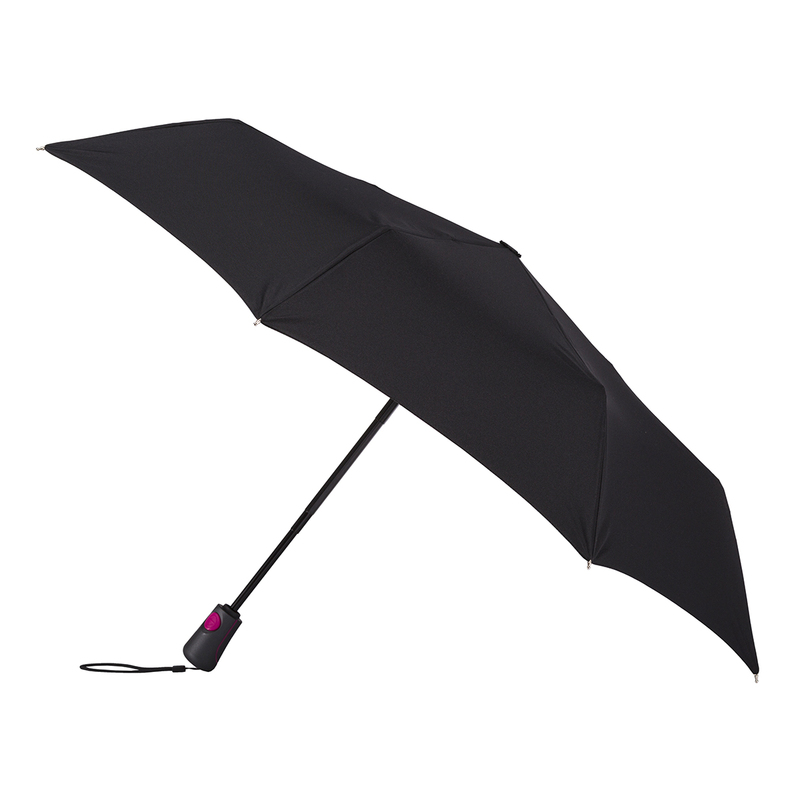 When closed, the umbrella measures 27cm so it will fit nicely in a shoulder, tote or large handbag. 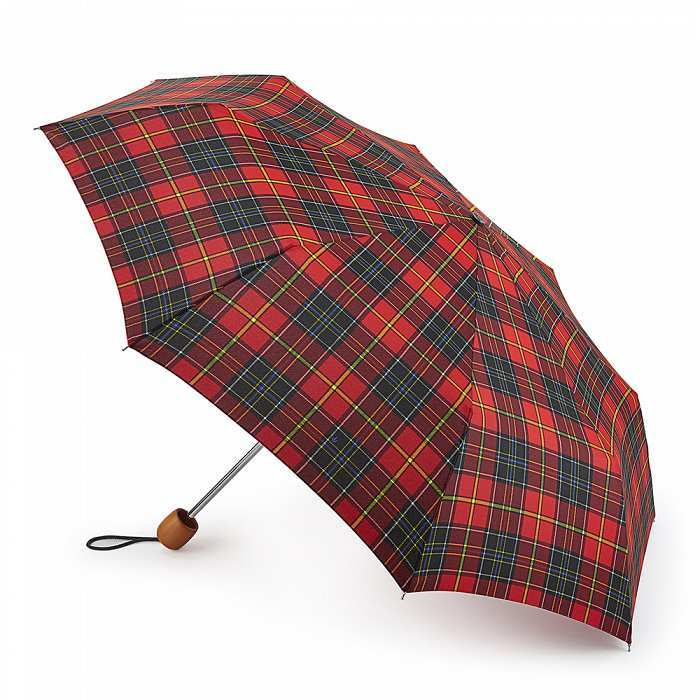 Conquer the elements in style with this red tartan umbrella that has a large canopy for greater coverage and a wind resistant frame. With a smooth and sturdy wooden handle, this umbrella sits comfortably in your hand and gives you more control in strong winds. For those of you that just want an umbrella to keep you dry on a rainy day, with no fancy trims or patterns, then this classic umbrella is perfect for you. Brilliant for blustery days, this simple yet strong umbrella has a large canopy and is made with aluminium and fibreglass that can withstand winds up to 51.21mph (as shown in an experiment by Totes). Make sure you buy your umbrella before the downpours hit – don’t say we didn’t warn you!